Key Difference: Fog is a cloud that appears near the ground or touches the ground. Mist is a thin fog that appears near the ground. 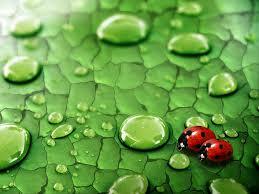 Dew is deposit of water drops that is formed on cold surfaces by condensation of water vapors in the air. Fog, mist and dew seem to be interrelated and often create confusion when one tries to define them. There is a little difference between fog and mist. Dew basically differs in the phenomenon pertaining to its formation. This article might help you to find the differences between these. 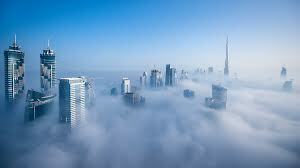 Fog is a thick cloud that remains suspended in the atmosphere or near the surface of the Earth. Due to fog, visibility is greatly affected and it remains restricted and obscured. To describe fog, one must be familiar with the term cloud. Cloud is a visible accumulation of tiny water droplets or ice crystals that are formed in the atmosphere of the Earth. You might have seen clouds; they vary in size, shape and color. The white appearance of cloud is due to a tight packed arrangement of water droplets in its structure. Air, when filled with water vapor generates the clouds. Thus, fog can be simply termed as a cloud that touches the surface of the Earth. Water vapor or gas is invisible, but still one can see fog, due to the presence of water droplets in it. Mist is same as fog; it is just less dense than fog. Fog tends to be thicker and massive than mist. Thus, both can be defined as the clouds that touch the Earth. The only difference between them is regarding the density. A fog that is thinner than mist is known as haze. Fog can also turn acidic, if tiny liquid droplets combine with gaseous impurities, such as oxides of sulfur and nitrogen. By cooling – In this process, air is cooled to its saturation point (dew point). By evaporation – In this process, water vapor is mixed with the air by evaporation, and thus raises the dew point until the air becomes saturated. Dew is condensed moisture that appears in the form of small drops and is found on a relatively cold surface. Radiation is responsible for cooling the objects near the Earth’s surface more rapidly. Therefore, the ground objects become cooler in comparison to the surrounding air. When this air contacts a colder surface, it cools down by the process of conduction. In the same process, it loses its ability to hold water vapors. This cooled air generates tiny droplets of condensed water vapor. They are generally found on the twigs, leaves and blades of grass. It is a major source to provide moisture to the plants. Dew, generally appears in early morning or in evening. If the temperature cools down further, then dew freezes and becomes ice, known as frost. On the other hand, mist and fog usually form at night, as the air becomes too cold to hold all its moisture. Fog reduces the visibility to less than one kilometer, or a little over half a mile. Mist can be easily differentiated from fog, as it does not reduce the visibility to that extent. 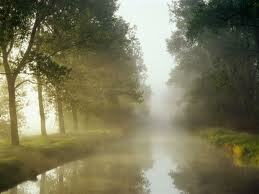 Fog and mist stay in the air, whereas dew in the form of water vapors condenses on the surface of things. There are numerous types of fogs depending upon the circumstances under which they are formed like- valley fog, upslope fog, etc. That really cool like how can they do that the can the be put together?